Fall has been pretty great here in Minnesota this year. Lots of crisp, sun-drenched afternoons where everything glows orange. 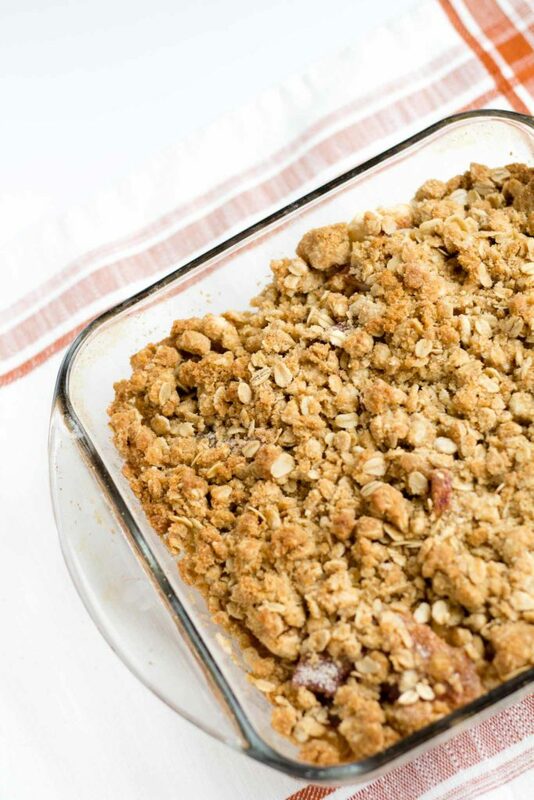 It’s the kind of weather that made me want to whip up a little apple crisp with oatmeal crumb topping. The hardest part of making apple crip is peeling the apples. And, really, it’s not THAT hard. I just use a paring knife. It’s a little futzy, but it works. After you get all the apples peeled and sliced, throw them in a pan. I like to use a glass pan, but a metal cake pan would work too. 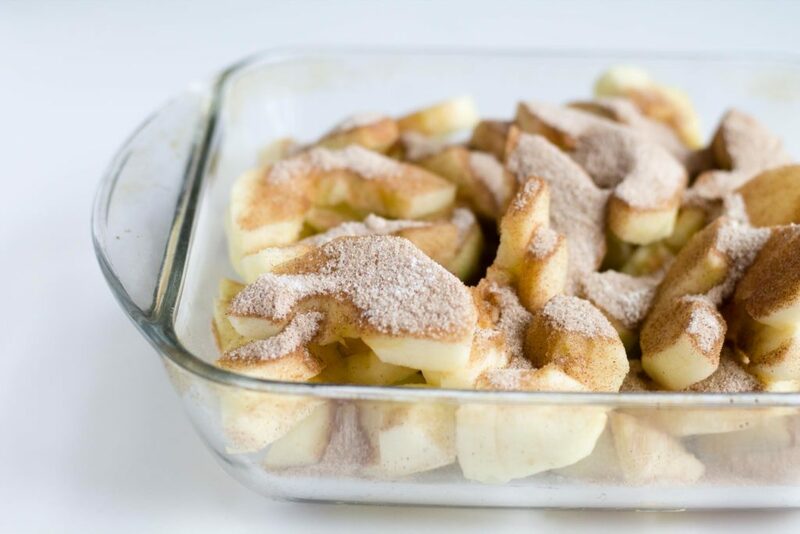 Mix up some flour, sugar and cinnamon, and sprinkle it on top of the apples. When the apples bake, they’re going to release their juices, which will work with all that cinnamon and sugar to make a delicious ooey-gooey sauce. 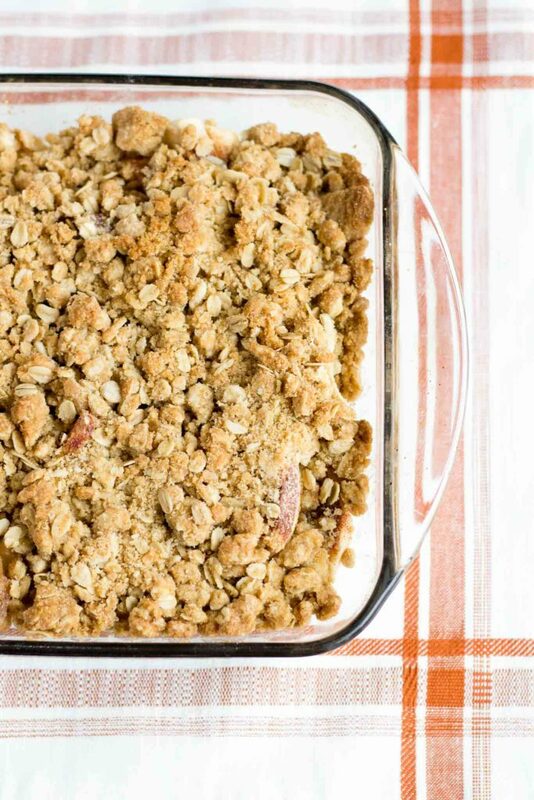 Then mix up the ingredients for the oat crumble topping. The topping’s got a lot of good stuff in it, but most notably: cinnamon, oats, brown sugar and butter. It all equals some really tasty crispy topping. I promise. Spread the topping over the apples, throw it in the oven and bake until the apples soften and the topping gets all golden brown and crispy. Serve it with a scoop of ice cream. If you can find cinnamon ice cream, I HIGHLY recommend using that. But my grocery store didn’t have any today, so I went with vanilla instead. 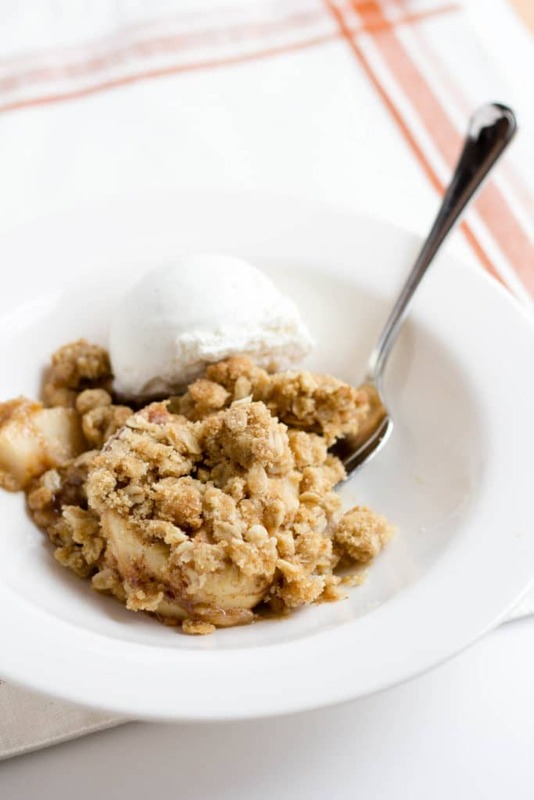 Which is also crazy tasty with this apple crisp, so it’s not like I’m missing out. Place the sliced apples in an 8x8 inch pan. In a small bowl, mix together the white sugar, 1 tablespoon flour and cinnamon. 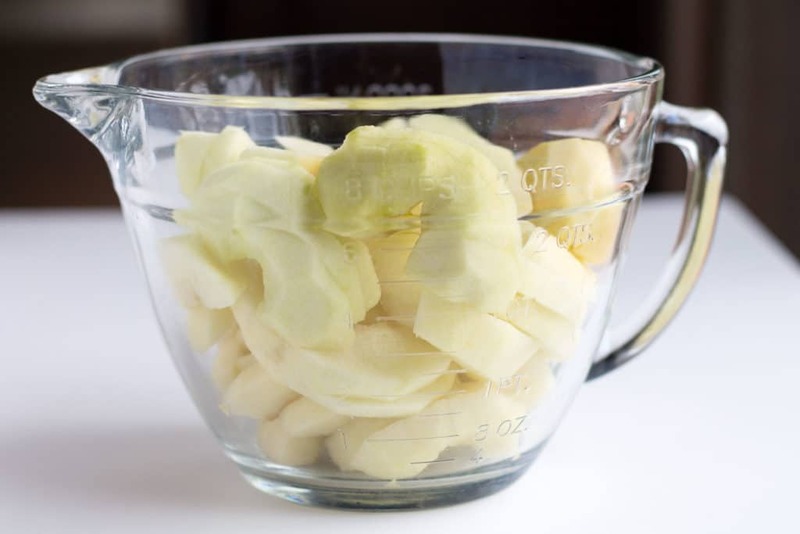 Sprinkle this mixture on top of the apples. 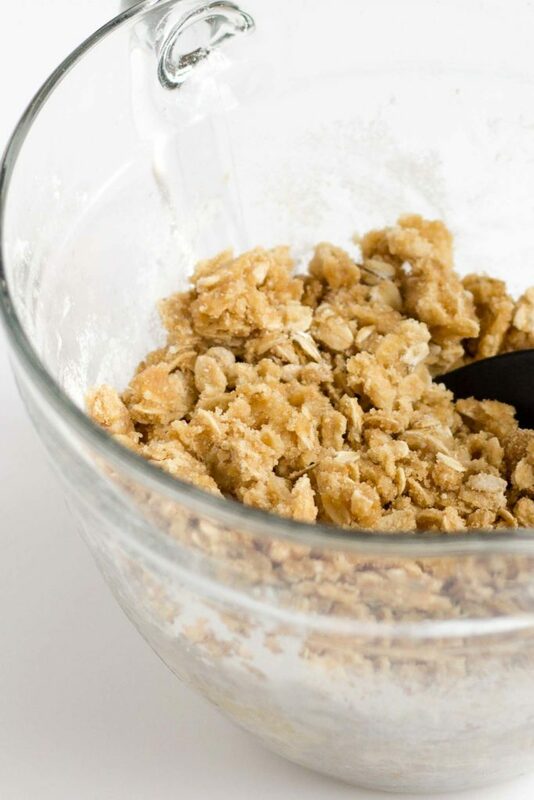 In a large bowl, combine the oats, 1 cup flour, brown sugar, baking powder, baking soda and melted butter. Stir until well incorporated and spread over the apples.